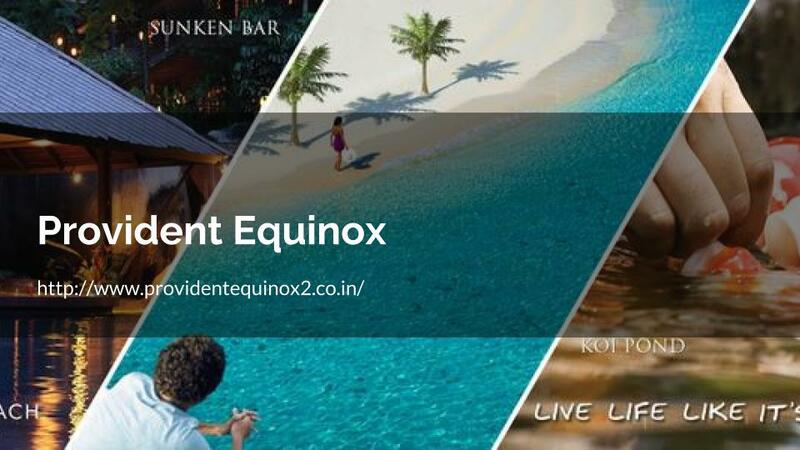 Provident Equinox – an eximious residential inventory from Provident Constructions is coming up in lush green location of Kanakapura road, Bangalore. The project offers 2 and 3 BHK premium class apartments with best architectural design and amenities. The premise spreads over a vast land area with massive residential blocks and attractive landscapes providing a calm and peaceful environment for healthy and joyful living. The residential units are powered with technically sound artistry which gives much deserved flexibility for creating customised interiors in a desired way. The exteriors are cautiously designed to give a plush sumptuous ornate. Provident Equinox Bangalore kanakapura Road. Prime importance is given to the inflow of fresh air and natural light, to keeps the units well-ventilated. The amenities tagged with project are outlined for easy accessibility to the residents. The outdoor and indoor facilities are provided for recreational and sporting activities.